The first street art I ever saw was in Iowa City in 1975. On the blank end of a large flat faced-building I was confronted by a huge idealized version of the landscape through which we had travelled all day: endless plains of corn, ruler-straight roads, clapboard farmhouses and barns, and above it an enormous sky. And in that painted sky sickle-winged nighthawks circled like giant swifts. There was a joyous mimicry about this urban picture, for in real life, the evening sky was rent with the weird screams of real nighthawks hurtling overhead. In a bookshop in the same city I found a book of photographs by Diane Arbus and bought it on the spot. Everyone has heard of Diane Arbus since those days, but in both these discoveries Iowa City in the mid seventies delivered a first for me. 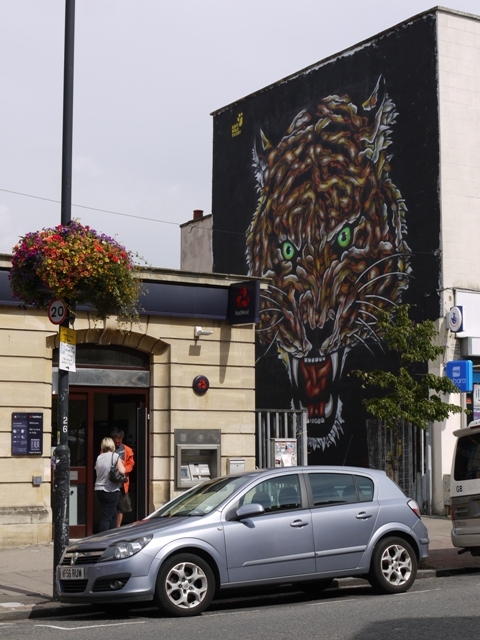 I was reminded of both themes when visiting Bedminster in south Bristol last week. Much about the street scenes would make a Diane Arbus composition: the distinctive style of its slightly scruffy inhabitants, the peeling stucco, the buddleia sprouting from gutters and chimney pots, the crushing dismalness of a high street devoted to a signage war between the most downmarket of shops. 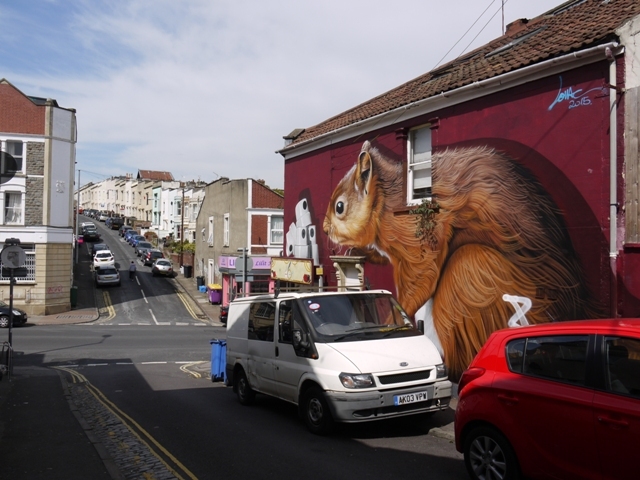 North Street Bedminster . Despite the grim shopfronts some optimist has painted the street furniture in cheerful colours like a toyshop. 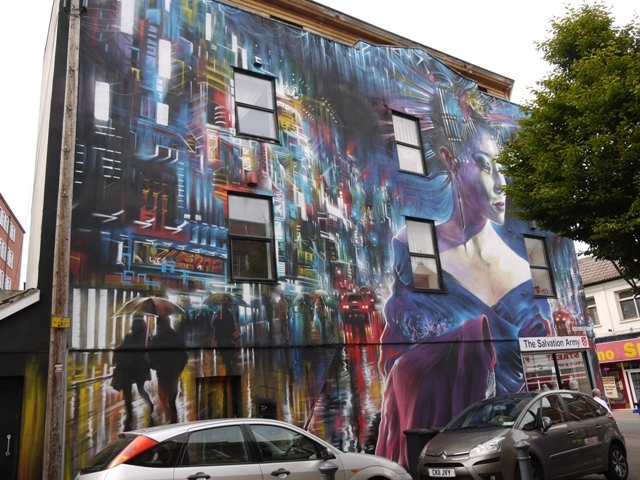 And yet there were thrills and surprises at every turn, for the Upfest Street Art Festival had co-ordinated the embellishment of Bedminster through the efforts of mural artists from Bristol, Britain, and all over the world. Should the ambulanceman in the picture above spin upon his heel he would look up at a very different scene, of a glistening rain-drenched city street, dominated by an exotic blue-tinged oriental lady. You need to venture up side roads to find all the exhibits. 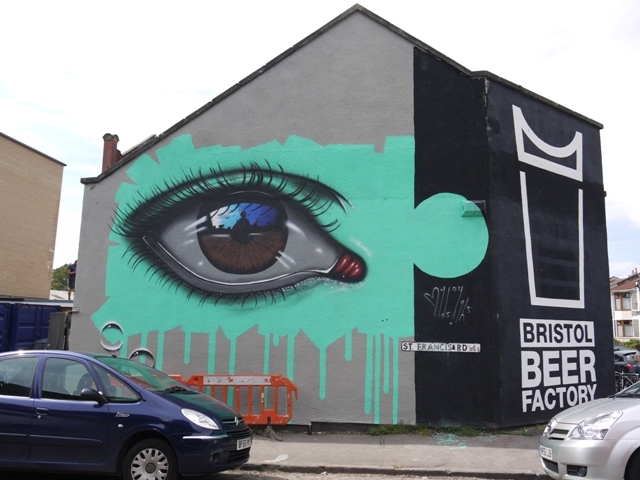 Here is a house embellished by one of the founding artists of Upfest, whose moniker is My Dog Sighs. 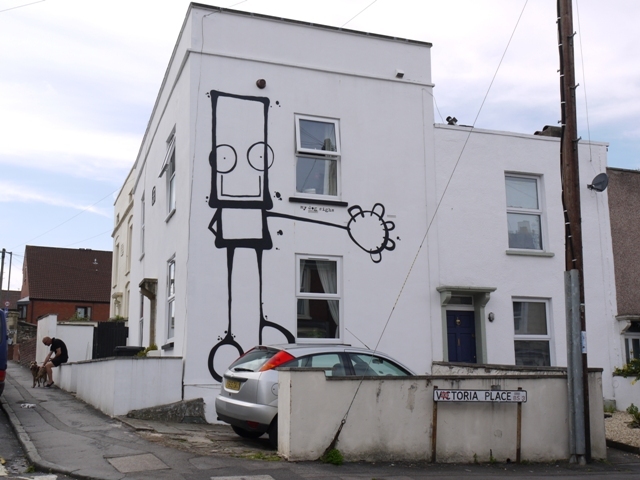 This peculiar stick man crops up several times on boards and buildings, and can also be purchased on art card at the Upfest Gallery, embellished with choice of apposite sayings I wish I’d said myself. 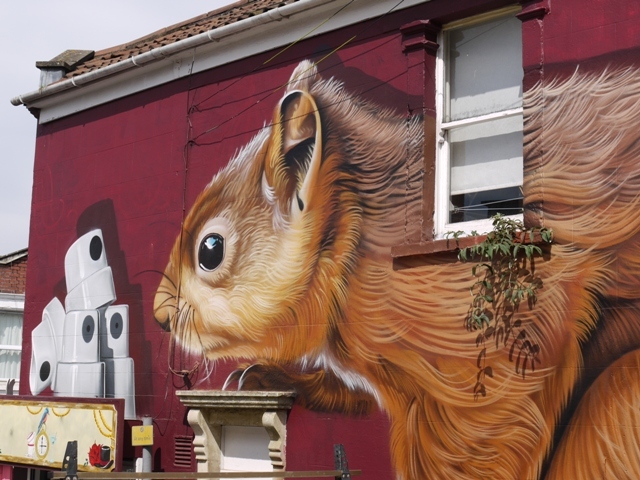 On the next side street was a red squirrel: sniffing at a hoard of paint spray can tops, the detritus of artworks such as this. The composition is interrupted by the door and window of this small shop, and oddly decorated by the opportunistic buddleia sprouting out of the sill. 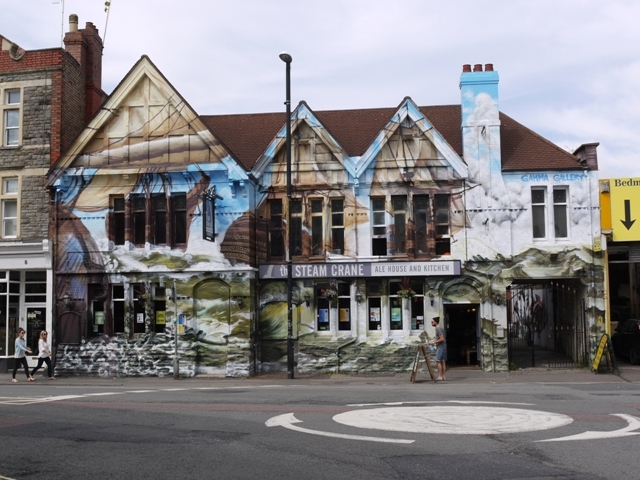 The Steam Crane, a pub by the roundabout, provided many more obstacles to a smooth canvas, for it is an Edwardian frontage of dressed stone, timberwork-and-brick, dormer windows and chimneys. Hard to believe that such a dominating form could be camouflaged by a maritime harbour scene of 200 years ago, yet you have to stop and study to comprehend the picture. Harder still to imagine the labour of correctly superimposing the picture on this complex shape, working close up, over a weekend, from a scaffold or cherry picker. 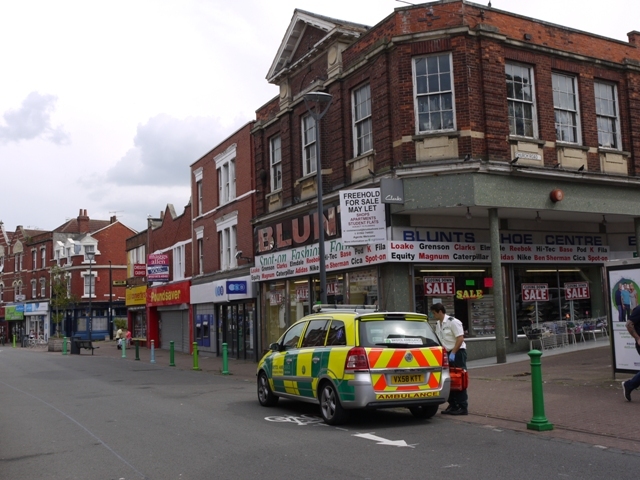 There are also bill boards and shop windows mingling with the with regular advertisements on the street. 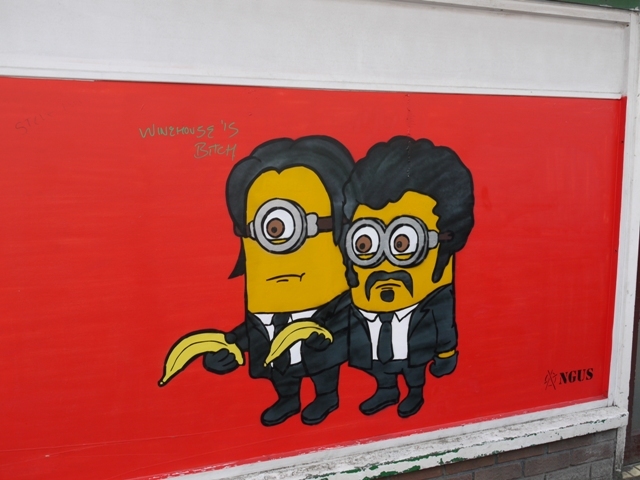 The minions poster has perhaps attracted new and opinionated graffiti, but then what do I know of the opinions of the artist ‘Angus’? Next up was the psychedelic mackaw taking flight on the flank of The Masonic public house. 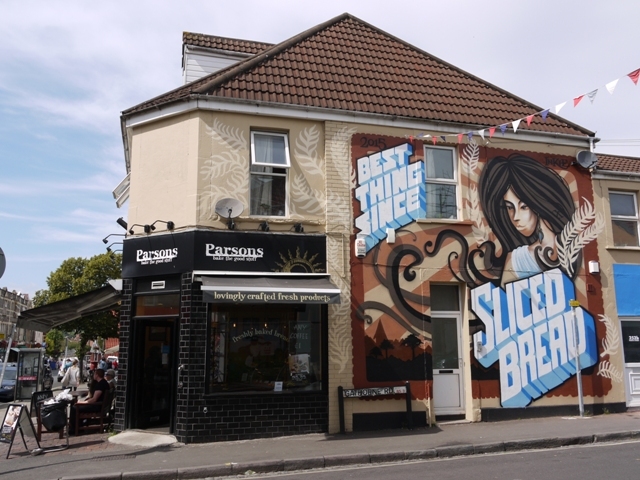 It’s anyone’s guess whether the tattoo parlour with the Star Wars title is part of the exhibit – this kind of artwork abounds in Bristol. 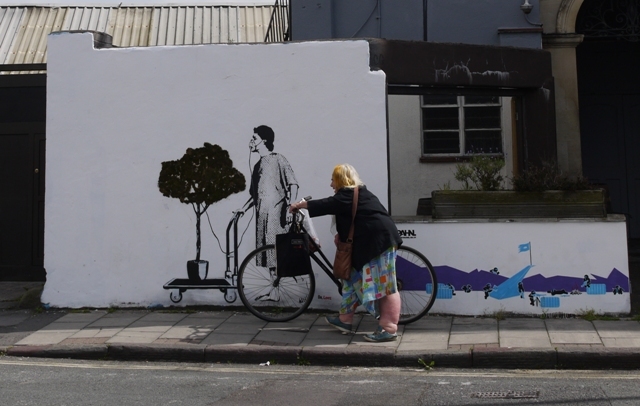 There was a cluster of creativity in the vicinity of the Tobacco Factory further up the hill, and here came together a most Arbus-esque scene, a commentary on health, both of the individual and of the planet. 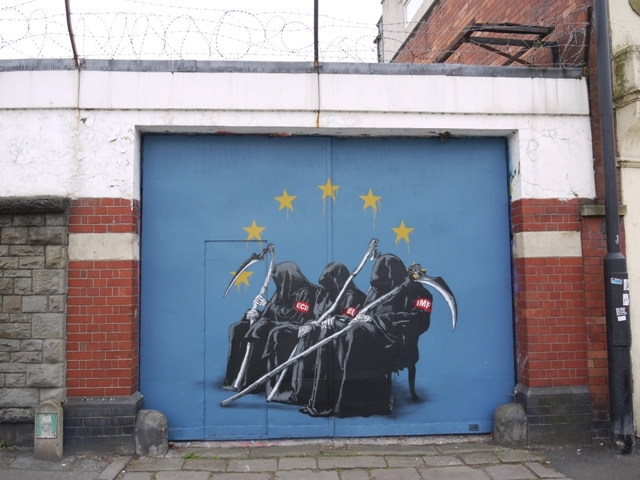 Are we marching towards our doom? 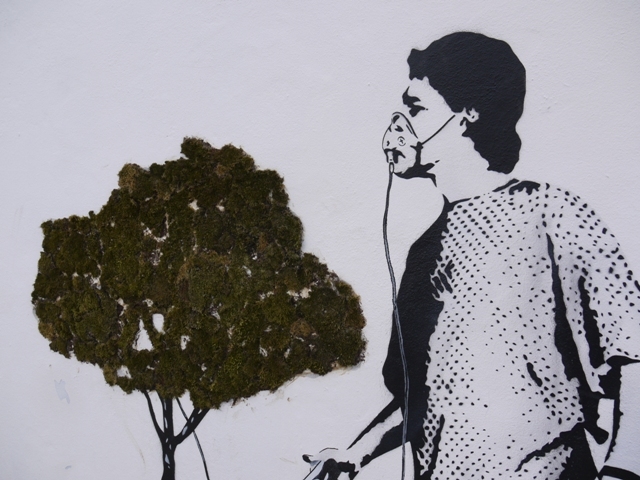 The image of the tree, last oxygenator of the planet, was crafted with glued-on moss for the foliage, while above, an oily hand by a different artist dripped realistically to the ground. 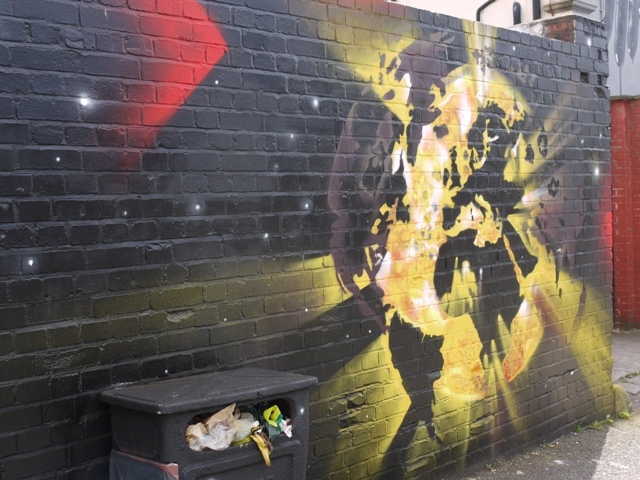 Nearby was a representation of our earth exploding from within, painted by the invisible hand ‘Manu Invisible’ from Italy, and further down the road on an up and over garage door three harbingers of death wait on a park bench under the stars of the European Union. A politically aware lot, around here.. 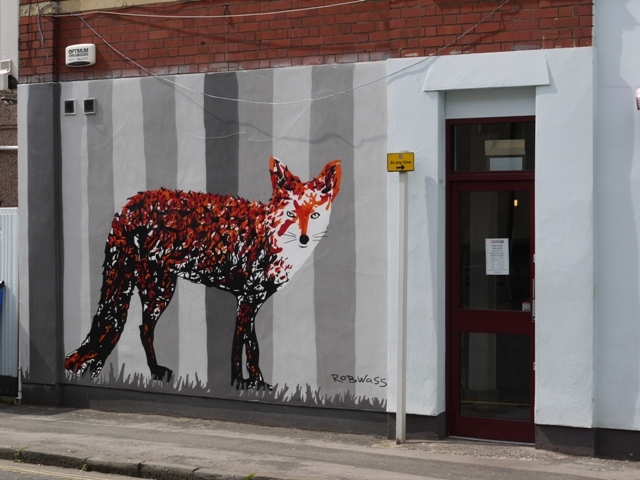 The mood though varies, with a more positive note struck by the the jigsaw piece of an eye, the urban fox and the head of a tiger. 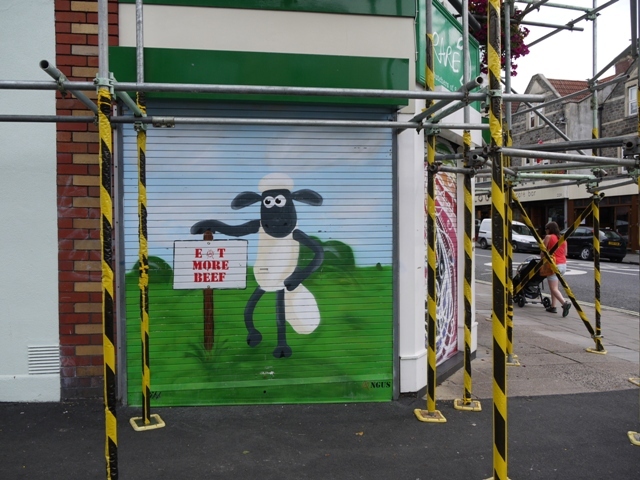 Businesses offering a wall to paint often get a complementary theme; the independent bakery decorated with ‘The best thing since sliced bread’ and the butcher with an exhortation ( by Shaun the Sheep, another Bristol alumnus) to eat more beef! 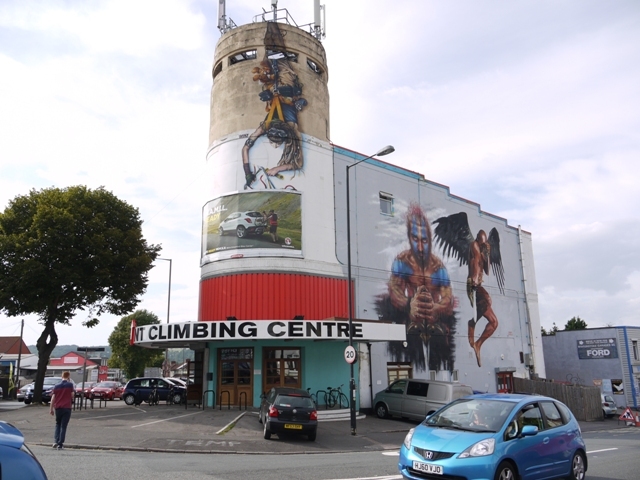 As a final excursion we went off North Street to The Climbing Centre on Winterstoke Road. 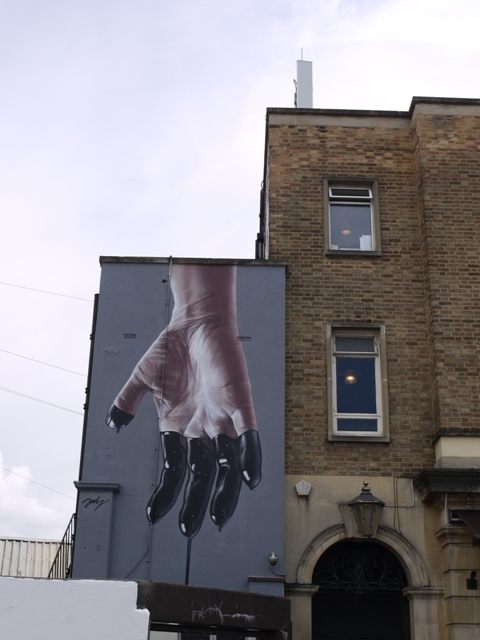 Two images adorn its side wall, but perhaps the most memorable is the girl in climbing gear( with her teddy bear), who dangles from the tower, cutting away with a box cutter the fixing wires for the commercial Vauxhall poster below. 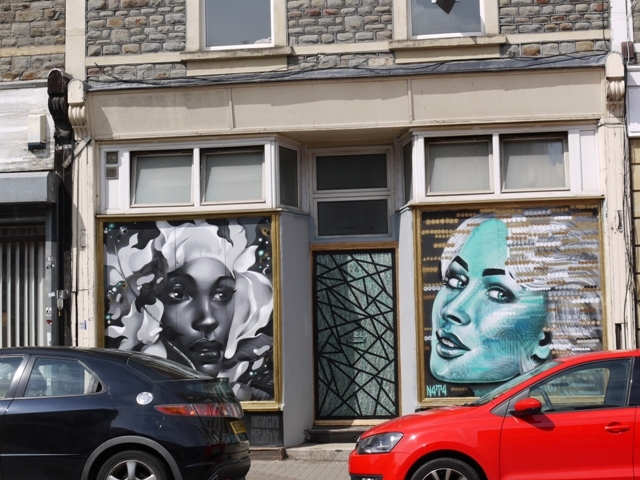 We’ve got plenty of dilapidated buildings and ugly walls in Aberystwyth too, but apart from the long lived and now rather shabby mural on the end of of Y Lolfa’s building in Talybont, they have been put to precious little use. 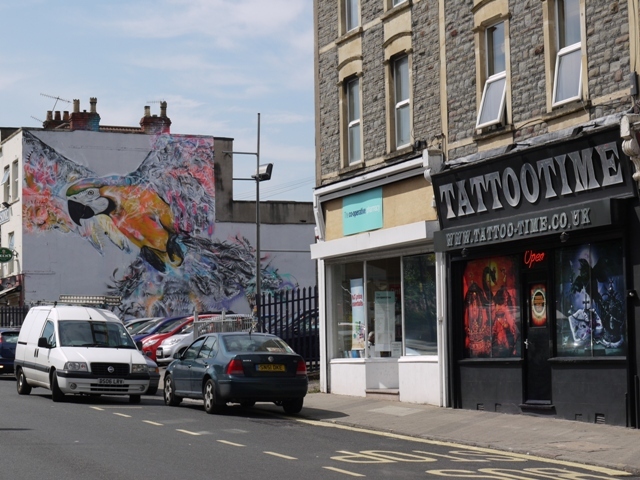 In Bedminster the murals are only guaranteed a life of one or perhaps two years, for the next Upfest will re-paint these walls to make way for new works.